There are over 1,000 varieties of pecans - many are named for Native American Indian tribes such as Cheyenne, Mohawk, Sioux, Choctaw and Shawnee. The pecan, because of its pure American heritage, is honored by having the month of April declared as National Pecan Month. 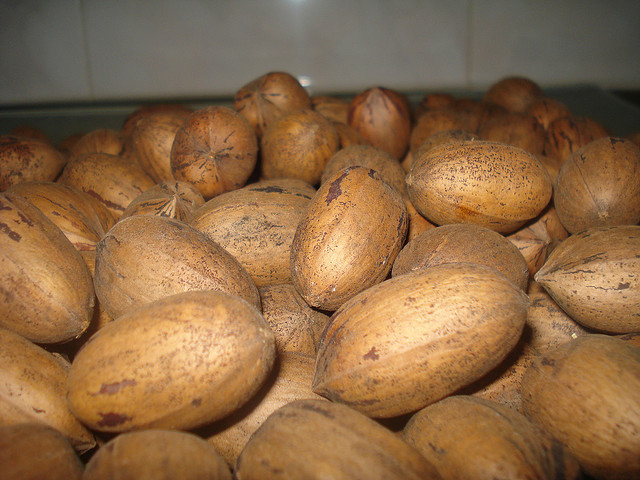 Astronauts took pecans to the moon on two Apollo space missions. "Thomas Jefferson transplanted pecan trees from the Mississippi Valley to his home in Monticello. He also gave some of the trees to George Washington, who planted them in 1775 at his Mount Vernon home... three of those original trees still thrive at Mount Vernon. The pecan was a favorite nut of both presidents ... George Washington was said to carry pecans in his pocket frequently" (condensed from Pecans - The True Blue-Blooded Americans: Vegetarians in Paradise). RESOLVED, That the 77th Legislature of the State of Texas hereby designate the pecan as the Official Health Nut of Texas. 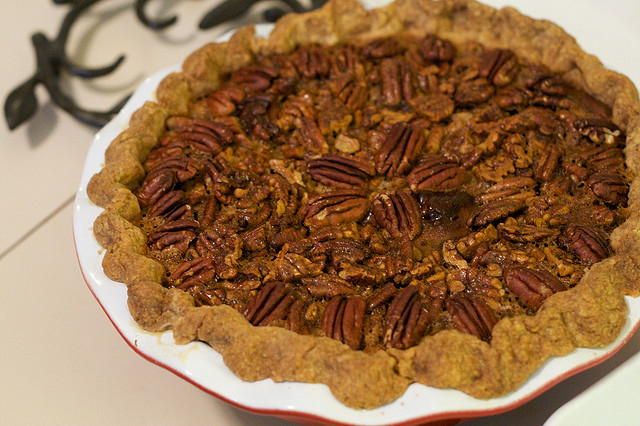 Perfect pecan pie; photo by Robb & Jessie Stankey on Flickr (noncommercial use permitted with attribution / share alike). 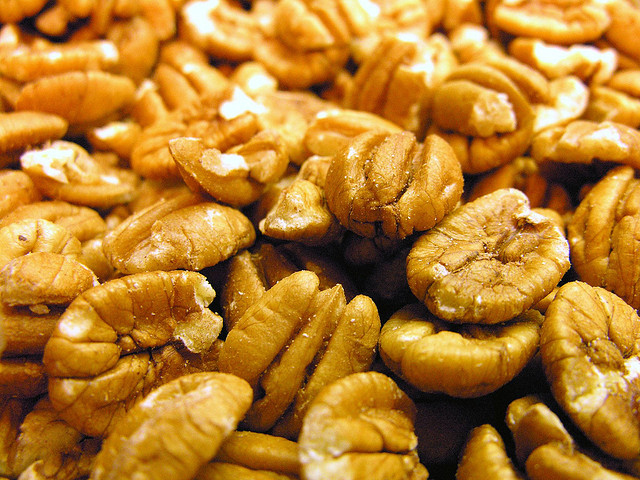 Delicious fresh pecans; photo by Judy Baxter on Flickr (noncommercial use permitted with attribution / share alike).